EngagingPatients.org Training Family Members for Fewer Falls and Better Outcomes - Welcome to EngagingPatients.org! Editor’s Note: The Memorial Rehabilitation Institute received a 2018 Sherman Award for Excellence in Patient Engagement for its fall prevention program. The Sherman Award is co-sponsored by Taylor Healthcare and the IHI/NPSF Lucian Leape Institute and was awarded at the IHI/NPSF Patient Safety Congress held recently in Boston, Massachusetts. 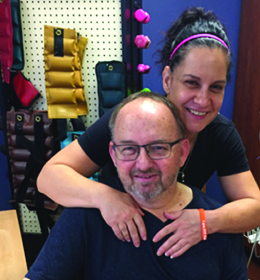 Memorial Rehabilitation Institute, located in Hollywood, Florida, is an 89-bed acute adult inpatient rehabilitation program. With over 2,000 admissions annually, including a high concentration of neurologically impaired patients, we continually analyze our patient falls in order to minimize the potential for falls in our population. 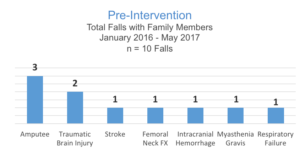 In early 2017, the Falls Reduction Committee identified an increasing trend of falls related to patients’ family members. The data reflected 10 family-related falls within a 16-month period. In an 18-month period, there were 10 patient falls related to well-intentioned family members. As part of our fall reduction strategy, we interview patients and family members to try to understand the circumstances that may have contributed to the fall. The families often shared that they felt they were part of the team and wanted to help the staff by assisting the patient on their own, rather than “bothering” a staff member. Caregivers and family members staying with their loved ones typically observe the patient’s daily therapy sessions and unit activities. Because they had watched the therapists and nurses transfer or walk the patient multiple times, many felt confident they knew what to do and would attempt to transfer the patient on their own. It was only after the fall that they realized they didn’t have the hands-on experience to truly be able to safely assist the patient. While training was provided to family caregivers shortly before discharge, the team quickly realized through the interviews conducted with patients and family members that hands-on training needed to be initiated much earlier in the patient’s stay. The task force set to work using input from family members, patients and staff and created a program called “Family in Training.” Five essential elements of care where identified for training: 1) bed to chair transfers, 2) walking, 3) wheelchair management, 4) toilet transfer and 5) toileting. Orange wristbands identify family members who have achieved competence in assisting their family member safely. We created a letter that is given to each family upon arrival to the unit, inviting them to be part of this training program. They are asked to discuss the program with their therapists. Once the therapist agrees the patient is functioning at a level where they could be assisted by a family member, the training begins. When the family member has achieved competence in all five areas, they are issued a bright orange band that is labeled “Family in Training.” That communicates to the staff that this family member is willing and able to independently assist the patient in the five outlined areas. In the first 8 months of the program, there was just 1 patient fall related to family members. The initial aim of this project was to reduce family-related falls. 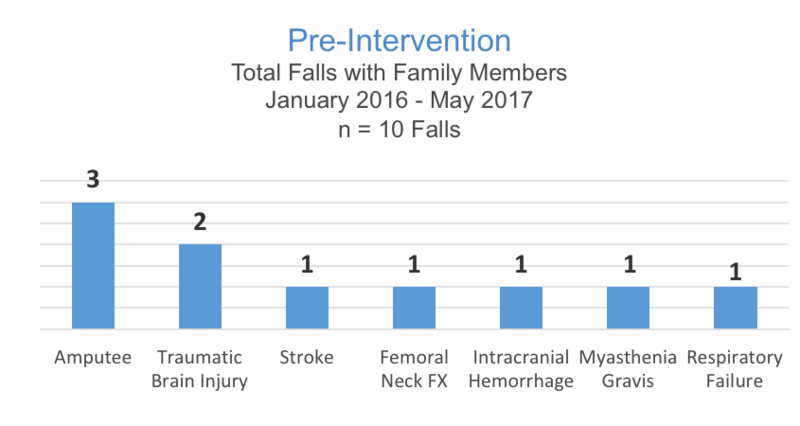 Prior to this program, during the 16-month period between January 2016 and May 2017, we had 10 family-related falls. An interdisciplinary team of nurses, therapists, quality staff and family members collaborated on a process that began early in a patient’s stay and focused on engaging the patient and their family in self-directing their care through hands-on education. 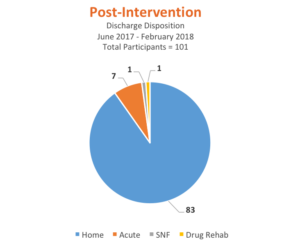 From initiation in June 2017 through February 28, 2018, 101 patients/families participated in the program. Data analysis indicates only 1 family-related fall occurred in the group who participated in the program. 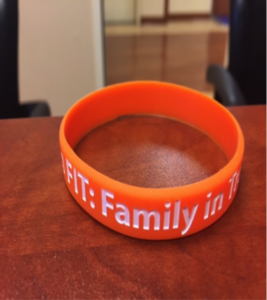 Families were very engaged and told us how confident and proud they were once they received their orange band. After participating in this fall prevention program, fewer families choose to admit patients to skilled nursing facilities, which was an unexpected outcome. A secondary (and unanticipated) outcome from this initiative was a decrease in the number of families who chose to send their loved one to a skilled nursing facility (SNF), apparently related to the increased engagement and confidence of caregivers in their ability to care for the patient. 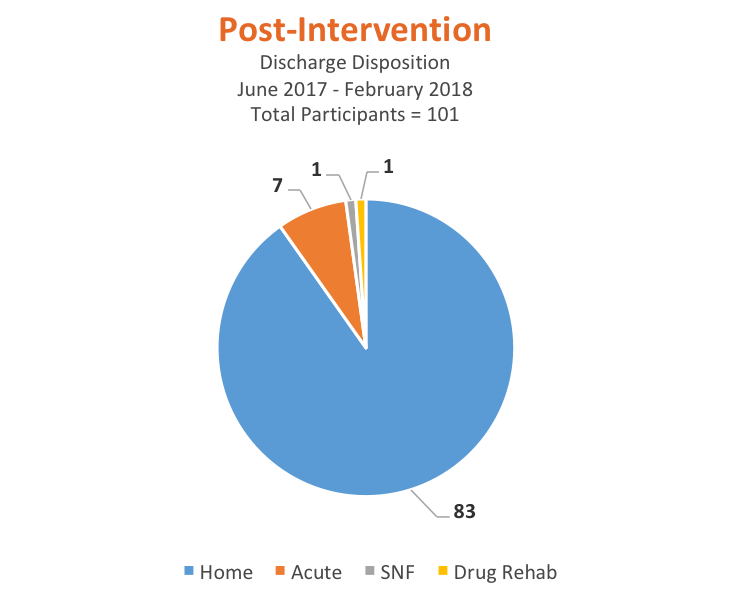 During this time period only 1 out of 101 participants (1%) were discharged to a SNF (average for all rehab patients for the nation is approximately 10%). We are proud to say that by examining our data and collaborating with our patients, families and staff, this initiative made a significant difference in the lives of many of our patients and families. Denise Maillet is director of quality and patient safety at Memorial Rehabilitation Institute in Hollywood, Florida. As part of her role, she strives to use data analysis to assist her team in developing innovative ways to improve patient care.